Who doesn’t love watching (animated) celebrities fight to the death in professional wrestling matches? Answer = no one. And if you don’t, you need to reassess all of your life choices which have led you up to this point. 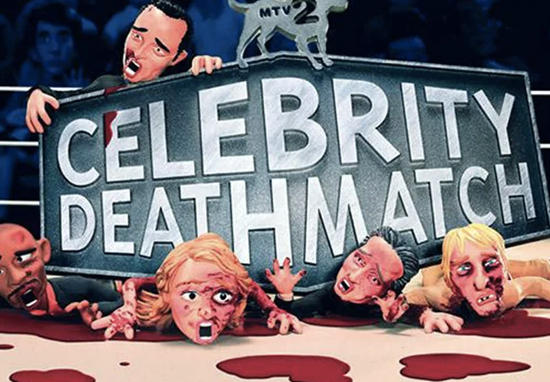 Recognising everyone’s love for the series, MTV have confirmed they’re bringing back claymation comedy series, Celebrity Deathmatch. MTV Studios announced yesterday (December 5) the reboot of the once popular show will return in 2019 as a weekly series. As reported by Comicbook, the new series will be produced by Ice Cube, who’ll also be the star of the show and will lead the voice cast. Series creator Eric Fogel will also be an executive producer. 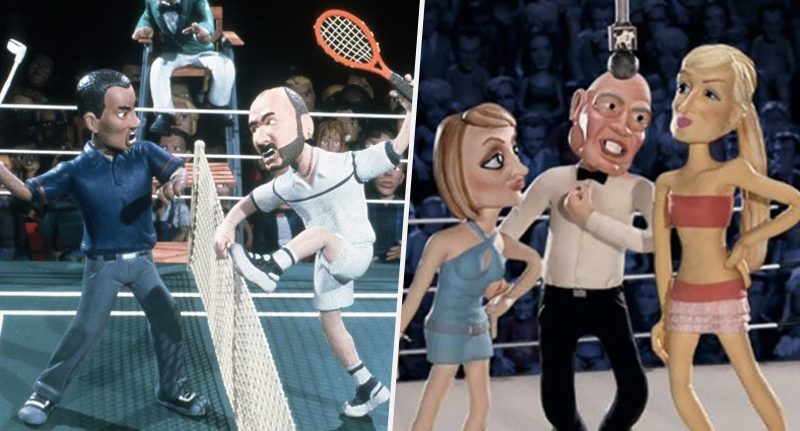 Celebrity Deathmatch premiered on MTV in 1998 and ran until 2002, before it moved to MTV2 between 2006 to 2007 – this means it hasn’t graced our screens in over 10 years! Back in the day we had some iconic matches – who can forget Dolly Parton vs Jennifer Lopez? And don’t get me started on Madonna vs Michael Jackson. But with the ever-changing celebrity status quo, I can’t even begin to imagine what direction they’re going to take this new series in. Can you imagine Kimmy K in there? I bet you anything she’ll appear! We’re excited to grow our partnership with Ice Cube and Cube Vision to reimagine this fan favourite. Deathmatch was the meme before memes, remains a hot topic on social media and will be a smart, funny way to tackle the over-the-top rhetoric of today’s pop culture where it belongs — in the wrestling ring. The show was a parody of sports entertainment programmes, pitting clay versions of celebrities against each other in a wrestling ring, with over-the-top violence and weapons allowed! The celebrities ranged from popstars to politicians, actors to TV personalities. Anyone was fair game. Personally I’m just waiting for the Obamas to take on the Trump family; will ‘The Donald’ make wrestling great again? And just how orange could his caricature get? MTV did attempt to revive the much loved show in 2015, but the plans fell through. It was set to be resurrected by the network with Wasteland Entertainment and creator Eric Fogel behind the wheel. Although MTV are producing the reboot, it’s not known whether it’ll actually air the show. Current plans are for the series to be shopped around to various networks, including streaming services, as MTV aims to launch the reboot on a third party network. Regardless of whether you’re a wrestling fan or not, Celebrity Deathmatch is definitely a programme for everyone to get on board with! I can’t wait to see what they’ve got up their sleeve. The new series of Celebrity Deathmatch will air next year.